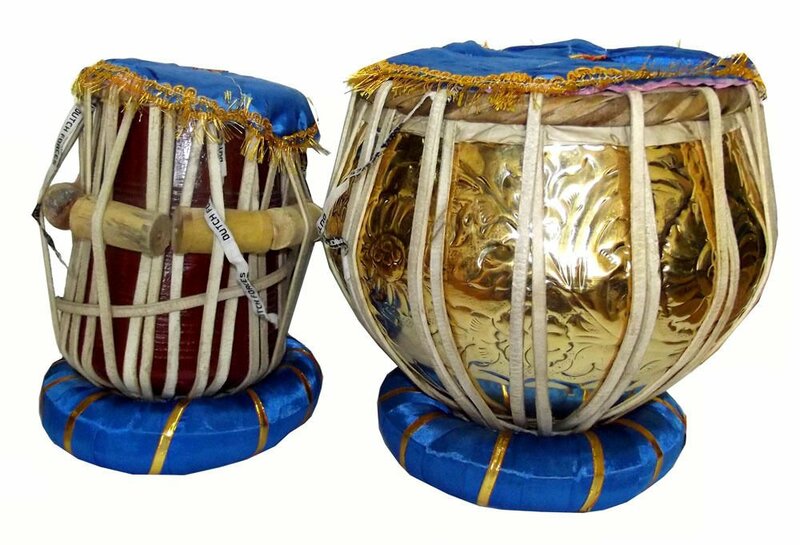 PRODUCT DESCRIPTIONbeautiful extensively carved Indian top-grade Tabla drum set in heavy brass and fine rosewood.ultra-safe designer hardcase.a fantastic piece with beautiful natural wood finish and traditional carving. (each piece is handmade so carving design and exact shade of the wood can be different from image pictured)EASY UNCOMPLICATED RETURNSBenefit from our no-questions-asked easy return policy.If you do not like it for any reason, or if it is not delivered in the condition you expect due to transit issues, you can simply return it to the India address on the package and you will be refunded in full less a 20 percent restocking charge.Buyer is responsible for return shipping cost by any trackable delivery service. VINTAGE 1950s LARGE 45 cm WORKING SHIP'S HANDHELD MEGAPHONE IN SHEET BRASS.